Current TV (TopTV 406) is launching tomorrow on the new TopTV pay TV service in South Africa. TopTV's feed of Current TV will be coming from America through Britain, but Current TV wants South African stories. ''We're encouraging young creators of content here in South Africa to make videos and to tell their stories and to connect with a global audience,'' says Current TV chairman Al Gore. ''Join the global conversation through the very powerful medium of television''. ''We're very proud to be a part of the TopTV family. TopTV is now introducing a form of competition to the pay TV market which hasn't been present in South Africa before.'' 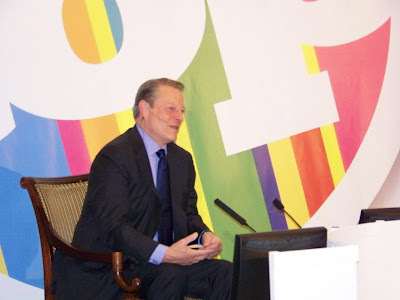 So said Al Gore, the former American vice president and chairman of Current TV (TopTV 406) at a press conference this morning for Current TV in Johannesburg that I attended. ''What you will find as a result, is the lowering of prices for consumers.'' As Al Gore said this, at the very same time MultiChoice was making THIS announcement about starting a brand new cheaper DStv Lite bouquet at R99. SHOCKING! DStv still advertising The Hallmark Channel that disappeared more than a month ago. It's more than a month since The Hallmark Channel changed to The Universal Channel (DStv 108) but looking at DStv's on-air promo above, you wouldn't know it - still, daily, DStv is running TV promo spots advertising The Hallmark Channel. Today is the last day of April 2010, and still DStv shows, and include, The Hallmark Channel's logo in the ''More captivated'' on-air promo, despite a big name relaunch of the channel and valiant marketing efforts to bring the new name under viewers attention. Perhaps a bit of competition with TopTV starting tomorrow as South Africa's new pay TV operator will be good. Competition in the pay TV arena might not only make DStv watch more closely and pay more attention, but may actually force DStv to watch their own stuff that they're broadcasting and seemingly are not watching themselves. FIRST LOOK! This is how TopTV's channel Top One will look from tomorrow: a bright splash of colour. Top One (TopTV 150) is the premium entertainment TV channel of TopTV. Top One will be on the satellite pay TV broadcaster's bouquet from tomorrow when On Digital Media (ODM)'s subscription TV service starts in South Africa. I can exclusively give you the very first look at Top One and how this TV channel will look. What I've recorded is what the TV industry refers to as an ''ident'' - that moving bit of video on your television that captures or show the logo, brand or name of a TV channel or show. The Top One TV channel ident (sorry no sound yet, it was looping silently on a flat screen television in the back of a TopTV press conference where I pounced on it) shows a magnificent splashing of colours in multi-coloured paint. The Top One ident incorporates several cyclical themes and shapes. Top One as a channel logo is literally built out of bright splashes of colour (in somewhat slow-motion). BREAKING. DStv and the SABC refuse to air any TopTV TV commercials. I can exclusively reveal that MultiChoice's DStv and the SABC have both flatly refused to air any TopTV TV commercials. Although both MultiChoice as well as the South African public broadcaster have been approached by On Digital Media (ODM) with the request to air TV commercials worth millions of rands on their patforms - the various DStv TV channels as well as SABC1, SABC2 and SABC3 - they have turned TopTV away. TopTV is starting its new subscription television service tomorrow, on Saturday, May 1, with a TopTV decoder that cost R499 and a monthly pay TV subscription fee of between R99 and R249 depending on the TV channels the subscriber wants. BREAKING. 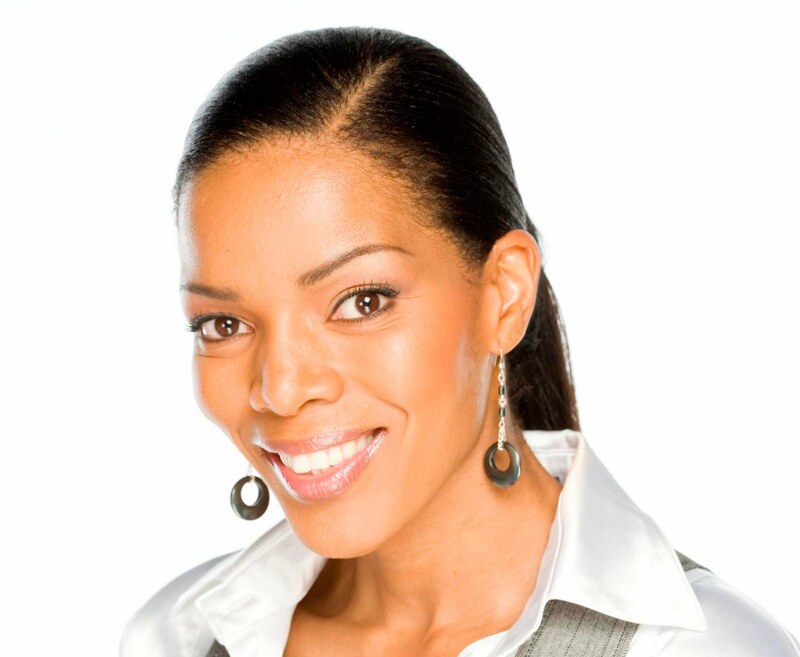 Connie Ferguson says goodbye to Generations, leaves South Africa's most popular TV soap opera. Connie Ferguson is saying goodbye to Generations, leaving her role of Karabo Moroka on South Africa's most watched daily TV soap opera after 16 years. The shocking news is reverberating through South Africa's TV industry this Friday afternoon, especially the soap opera community and the SABC, where Connie Ferguson's character has been a mainstay since the beginning of the soap opera. 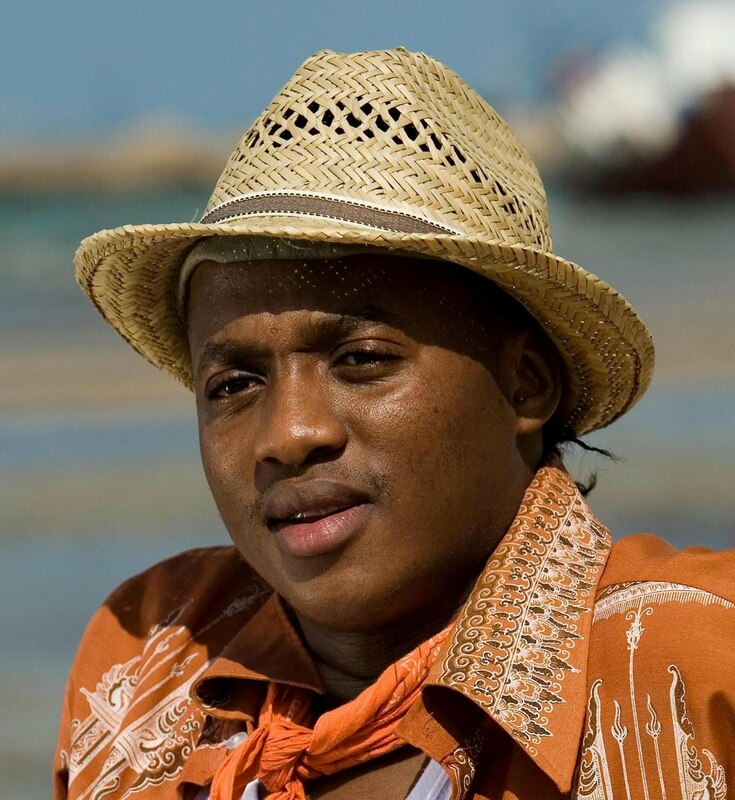 Generations regularly pulls in a nightly TV audience of over 5 million viewers, making it the most popular soap opera - as well as the singlemost popular program on South African television, with no other TV show that comes close. In a nice jab, the production said they're ''saddened'' about the resignation, and curtly said: ''Connie will not be doing any interviews until her official departure from the show in August 2010''. The life of a soap star . . . BREAKING. Pay TV price war! MultiChoice launches brand new DStv Lite bouquet. A massive pay TV war has erupted in South Africa with MultiChoice who has just lanched a brand new bouquet, DStv Lite for R99 one day before On Digital Media (ODM)'s TopTV will start costing subscribers between R99 and R249. MultiChoice is blatantly spoiling TopTV's big debut party with its sudden announcement that DStv Lite will be added and be available as from today to subscribers and that several of the other DStv bouquets will immediately get more TV channels. DStv Select 1 will get 8 additional TV channels (new total: 34), DStv Select 2 will get 6 additional TV channels (new total: 32) and DStv Compact will get 4 additional TV channels (new total: 44). BREAKING. It's war! MultiChoice set to launch a new DStv bouquet to counter TopTV. I can be first to break the news that MultiChoice is set to launch a brand new bouquet today. It's an all out pay TV war now with MultiChoice firing back its first salvo after TopTV's imminent launch this coming Saturday. Sources tell me that MultiChoice is ready to launch a new bouquet. EXCLUSIVE. TopTV launch party! Amazing, massive, ''Out of the box'' cube goes from black and white to a colour explosion. You HAVE to watch this! I can exclusively show you this five and a half minute clip that I made of the absolute ''wow'' factor of last night's Top TV launch party in Saxonwold, Johannesburg. A massive cube filled the entire middle of the venue. It was draped in white curtains that were suddenly lifted and then on all four sides - aka 1984's Big Brother - actor Jamie Bartlett appeared in black and white as an all-seeing, all-controlling video fiend. Then the transmission breaks up while guests were wow-ed as clip after clip of South Africa's TV history rolled by and slowly turned into colour. Eventually there's an explosion and the four sides of the massive cube falls open to reveal a dancing troupe in multi-colours. The massive cube reveal was part of On Digital Media (ODM)'s amazing party last night with more than 600 guests to celebrate the start of TopTV that launches on Saturday. I told you RIGHT HERE that the launch party would start in black and white monocrhome and explode into colour. TopTV's first ever TV promo - see it only here. I can exclusively show you TopTV's first ever promo. It was shown to the press and TV critics earlier this afternoon at TopTV's press conference at the Westcliff hotel in Johannesburg. On Digital Media (ODM) will start with the commercial broadcast of TopTV on Saturday, May 1, when TopTV launches with 52 TV channels. This 2 minute and 30 seconds TV promo clip was unveiled to TV writers to give an idea of what TopTV will be carrying on its pay TV platform. Towards the end you'll see the various ''Top'' logos of the ''Top'' branded channels that TopTV will carry. ''If you look at the current TV landscape in South Africa, there is 5,5 million households that have access to a limited TV channel environment. We change the TV landscape from Saturday by bring 52 TV channels and I'm very excited,'' says Vino Govender, On Digital Media's CEO who is launching their TopTV pa TV service this Saturday, May 1. ODM is placing 50 000 TopTV set top boxes in the market from Saturday. ''We grow that to 125 000 by the end of June, and thereafter 10 000 a week after that regularly,'' said Vino Govender. ALSO READ: TopTV's complete TV channel line-up. ALSO READ: TopTV's set top box revealed. BREAKING. TopTV press conference: I asked, they answered. All the TopTV things you want to know. I've just finished the TopTV press conference at the Westcliff hotel in Johannesburg where TopTV revealed that its decoders will go on sale from Saturday for only R499 and free installation within 48 hours after a purchase by one of 900 installers across South Africa. On Digital Media (ODM) starts the commercial broadcast of the TopTV pay TV platform on Saturday, May 1. 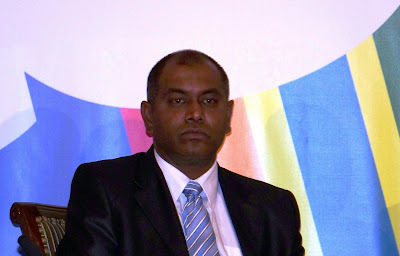 Vino Govender, ODM CEO, was at the press conference and took questions from journalists and TV writers regarding TopTV. I can bring you my questions and some very revealing answers about everything right here, first - from the ODM infrastructure, price and TopTV installation, to its planned Top Sport channel. For the Q&A, click on READ MORE below. BREAKING. TopTV will cost R499 for the decoder - including installation. I can be first to reveal that TopTV will cost R499 - which is the price for the TopTV decoder, or set top box (STB) and will also include installation. After that TopTV installation is done, subscribers get to choose - depending on the number of TV channels they want - a monthly subscription package that can range from R99 to R249, but can be changed from month to month. 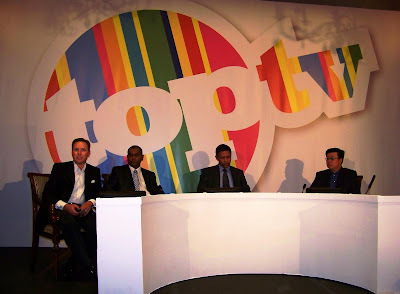 I'm sitting in the TopTV press conference at the Westcliff hotel in Johannesburg. On Digital Media (ODM) CEO Vino Govender just announced the price of R499 per TopTV decoder, which has been heavily speculated about the past few months. ODM's TopTV starts its commercial broadcast this Saturday, May 1 with 55 TV channels, which is also the day that the STB's will be packed out and go on sale. TopTV decoders will be sold in various shops ranging from Pep to Makro and several chain stores in between, as well as various electronic stores. Check back later this afternoon for more breaking news after the TopTV press conference which I will have here. I'm also attending the TopTV gala launch function this evening at the war memorial and I'm going to work hard to get all the news, all the goss, and all the photos of what will definitely be the TV event of the year. All TopTV's ''top'' logos revealed! Only I have them all, and only I can show them! I can exclusively reveal the various ''top'' logos of TopTV's own channels that will start to broadcast from Saturday. The new pay TV platform TopTV from On Digital Media (ODM) will launch commercially this Saturday, May 1. Included in the 55 channels that subscribers will be able to choose from, will be several of TopTV's ''own'' TV channels, all starting with the words ''Top'' like its premium channel Top One (TopTV 150) and Top Junior (TopTV 250). BREAKING. TopTV's launch party tonight: from black and white to brilliant colour. Tonight On Digital Media (ODM) has its gala launch function and party of TopTV at the war memorial in Johannesburg that Al Gore will attend and I can exclusively reveal the theme and style of the massive event that more than 600 guests, including TV titans as well as local and international celebs, will attend. BREAKING. Survivor SA Santa Carolina producers blatantly disses and dumps Christina Storm, Jub Jub from TV special. How much do M-Net and the producers of Survivor SA Santa Carolina simply hate Christina Storm and Jub Jub? Well these two controversial and troublemaker celebitants are very visibly loathed so much by the producers, they were both blatantly dropped from this evening's Survivor SA Santa Carolina behind-the-scenes TV special. Both are obviously, ''visually non-grata'' on M-Net; both only appeared in very brief glimpses and then only in filmed footage from the show. Neither Christina Storm who left in a huff and quit the show leaving the producers scrambling, or Jub Jub who also left claiming penile problems (and almost overshadowed the reality show by his real-life car-crash engulfed, alleged drug-fuelled real-life disaster) were asked for comments. Neither were included in the TV special in which all the other celebitants were interviewed, or asked like the rest whether they'd participate in Survivor SA again. 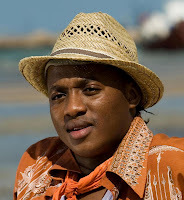 Both Christina Storm and Jub Jub were completely ostracised by the producers from the Survivor SA Santa Carolina TV special as far as possible, with no mention of why they were omitted. BREAKING. e.tv and kykNET talking about eNews supplying a daily Afrikaans TV news bulletin to rival SABC2. I can exclusively first reveal that e.tv and kykNET (DStv 111) are in negotiations and discussions for eNews, e.tv's news division, to supply a daily news bulletin at 19:00 in Afrikaans to the Afrikaans satellite TV channel. The Afrikaans TV news bulletin would not be ''a mere translation'' according to a source of what is already on e.tv's eNews PrimeTime or the eNews Channel, but a brand-new, specifically tailor-made bulletin with news items structured for kykNET viewers. Although nothing has been signed yet, sources on both sides has told me that both eNews as well as kykNET are very, very excited about this and about making a possible deal happen. eNews with the eNews Channel (DStv 403) is looking at expanding its reach and news service - also into other languages - while kykNET wants to beef up its schedule, which it can do by adding quality and independent Afrikaans TV news. I'm told that kykNET's plan is to put a brand-new Afrikaans TV news bulletin up SABC2's daily Afrikaans news bulletin at 19:00 where kykNET is getting hammered in the ratings. I can tell you that both e.tv and eNews as well as kykNET has had several meetings about this the past few weeks. Although nothing has been signed, a possible deal is imminent according to my source and the pressure on for both sides to make this work which would yield numerous benefits to both. kykNET which launched with the plan to carry a full news service, quickly scrapped that idea, then started a short-lived attempt at news with a half hour news overview show that floundered and quickly disappeared. I can exclusively tell you that the new Afrikaans TV news bulletin will not be a translation of what is already on the eNews Channel or e.tv but a brand-new customized daily half hour bulletin for kykNET. It will be similar to Britain's ITN which syndicates news in Britain to the world, but also produces specific tailor-made TV news bulletin's to other British TV channels. 3Talk with Noeleen on weekdays on SABC3 just celebrated its seventh birthday and I spoke with TV talk show host Noeleen Maholwana-Sangqu. I was there when SABC3 first introduced Noeleen Maholwana-Sangqu to TV writers seven years ago in Johannesburg as the new face of 3Talk on the channel. 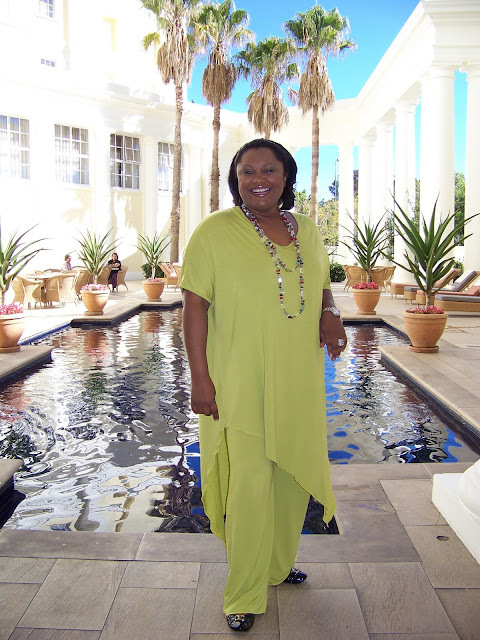 Noeleen Maholwana-Sangqu talked to me about her exciting journey, moments that have touched her and ''phenomenal guests'', why she keeps doing it and for how long she will continue to, as well as what she has learned from doing a daily TV talk show and human nature. She opens up about what this show has meant for her, how she sifts all the voices on a daily basis, and how she thinks the way we talk, has changed in South Africa. For my comprehensive interview with Noeleen Maholwana-Sangqu, as well as more photos, click on READ MORE below. FIRST LOOK! Okkert Brits in a red speedo: why is he wearing Izak Davel's mankini? Can it be? It is. I can exclusively first show you Okkert Brits in a speedo. And by further investigation, tell you that its Izak Davel's red mankini that he wore on the island in Survivor SA Santa Carolina! In a behind-the scenes hour long TV special on Wednesday at 19:30 on M-Net, viewers will see Okkert Brits sporting the red barely-there swimwear when he puts on Izak Davel's buzzed about swimwear in the reality show. Of course, Okkert Brits looks a bit sky, unlike Izak Davel who GiGI accused of being a show-off. Both GiGi who won Survivor SA Santa Carolina and runner-up Ashley Hayden will get time to expand on their journey in interviews that were recorded this past Thursday in the TV special. In more diary sessions filmed on and off the island, the other celebitants will reveal more things. Celebitants like Darren Maule, Louw Venter and Kaseran Pillay are even together in one room discussing certain key moments in the show. ALSO READ: Izak Davel on his red speedo. Survivor SA Santa Carolina winner GiGi is tired of unisex. Survivor SA Santa Carolina winner GiGi is tired of unisex. Unisex toilets that is. The exotic dancer who won the celebrity edition of the M-Net reality show now wants to use some of her winnings to improve the lives of her girls. GiGi of course runs The Lollipop Lounge in Randburg where the girls apparently have somewhat of a rough time with the male clientele. ''At the moment I'm battling space at the club,'' GiGi says. ''It's a huge battle. I've taken my parking area and I've been putting dressing rooms in there for the girls. They need dressing rooms desperately. I'm also running with unisex toilets which I really don't like. The girls don't want to share their bathrooms with the male clients so now I can build on toilets just for the ladies, and just for the male customers, which I think is a better idea,'' GiGi told me. To read more of what GiGi has to say, click on READ MORE below. Izak Davel, the Survivor SA Santa Carolina celebitant who strutted around on the show in his red speedo, tells me exclusively that he had no idea that some of his fellow celebitants we're planning to drop trou and reveal skimpy red underwear during the show's live finale this past Wednesday night on M-Net. During the live finale, fellow celebitants Garth Collins, Louw Venter and Gys de Villiers all pulled down their pants to reveal red undies. Meanwhile Survivor SA Santa Carolina host Nico Panagio didn't drop his pants, but pulled the top of his underwear out to show that - yes, he too - is wearing a little red something-something to cover his nether regions. To see what else Izak Davel told me about his new movie role, making music with some of the other Survivor celebitants, and his experience of being on a reality show and if he'll ever do it again, click on READ MORE below! With Survivor SA Santa Carolina just concluding on M-Net (with a behind the scenes special tomorrow eveing at 19:30) and the sixth season of Idols starting up, I asked Helen Smit, M-Net's head of local content, about how M-Net sees the ongoing expansion of its TV properties from just being TV shows, to becoming TV experiences. Will Survivor SA Santa Carolina be back? How did it perform? 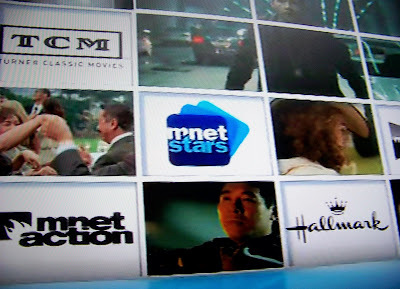 And how does M-Net see the evolution of TV programming beyond the box? For answers to all of these questions, click on READ MORE below. BREAKING. TopTV starts a countdown clock for its commercial launch on Saturday. TopTV has started an official countdown clock on the new TopTV website. The new TopTV website went live at the beginning of April, which I told you about RIGHT HERE, but didn't contain anything other than a block in which interested potential subscribers could leave their contact details. Now the TopTV website has just added some more content like a countdown clock with the words ''TopTV is coming'' - which is counting down to Saturday's commercial launch when TopTV set top box decoders go on sale for the first time. On the TopTV website visitors can now also find a block to sign up for TopTV's planned email newsletter, TopTV's contact details, and a multi-coloured TopTV promo. 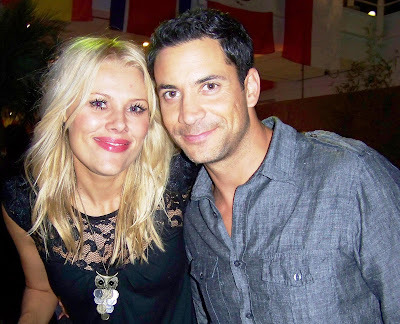 I met up with Nico Panagio, Survivor SA Santa Carolina host and his wife, Christi Panagio at the island style after party (Christi Panagio and I were on the same plane back to Cape Town the next day). I spoke to Nico Panagio about his new role in the new Afrikaans drama Vallei van Sluiers that just started on Tuesdays on kykNET (DStv 111), his Survivor SA Santa Carolina experience, whether he will be returning to SABC3's Top Billing and how the live finale of the reality show was for him. 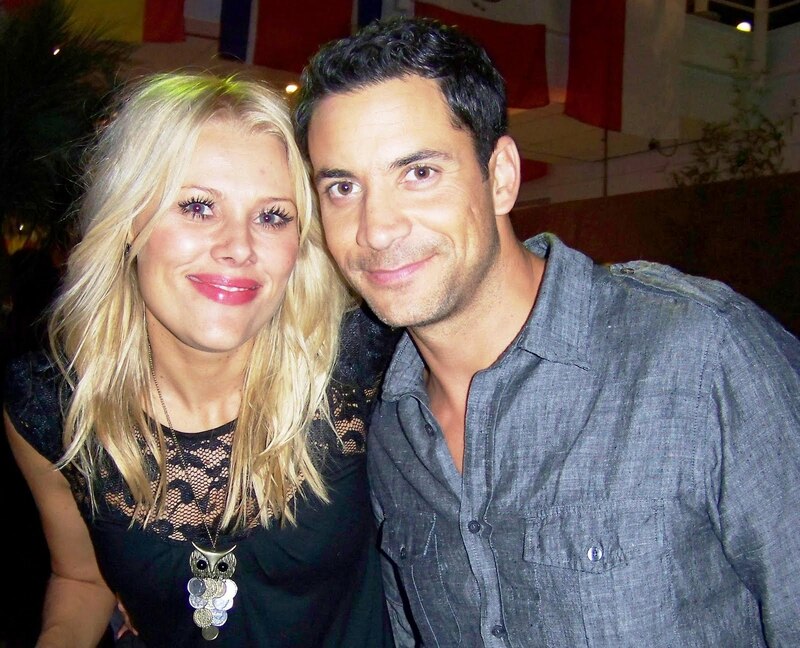 To see what Nico Panagio has to say, as well as some more photos, click on READ MORE below.